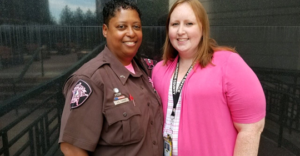 For several years, the Arlington County Sheriff’s Office has assisted the Virginia Sheriff’s Institute (VSI) in raising funds to establish a scholarship program for Virginia residents. 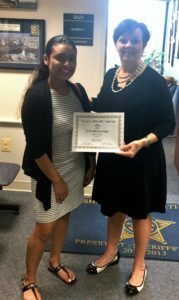 The Virginia Sheriff’s Institute scholarship program was established to provide an opportunity for residents across Virginia to pursue an educational curriculum in law enforcement or criminal justice. Students who live in Arlington and are planning to attend or are currently attending a Virginia college or University and majoring in the criminal justice field (not as a lawyer) are eligible to apply. Details regarding the program and the application process can be found online via VSI's website. Applications must be submitted via VSI's online portal by Wednesday, May 1, 2019. 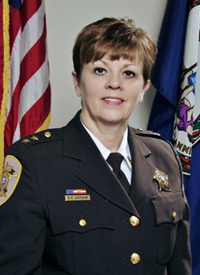 Sheriff Arthur pins an insightful op-ed to ARL Now on the importance of re-entry programs for incarcerated individuals. 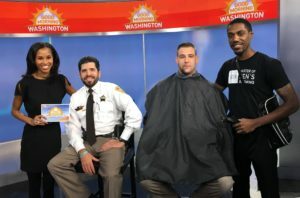 The op-ed describes in detail the re-entry/transition programs offered by the Arlington County Sheriff's Office for the betterment of their inmate population. Arlington County Detention Facility Inmate Recites Prize Winning Poem at first-ever Inmate Creative Writing Contest Awards Ceremony. Sat./Sun. and Holidays 9 a.m. -6 p.m.
For more information, please see Visiting Hours and Policies. 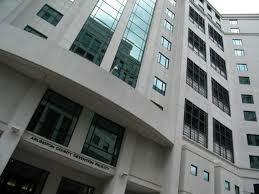 Visit IC Services or call 1-888-506-8407. If you have vital information to contribute to the care of an inmate in custody at the Arlington County Detention Facility, please call 703-228-4470. To discuss any specific concerns or accommodations, contact Captain J. McMichael, ADA Coordinator, 1435 N. Courthouse Rd, Arlington, VA 22201 703-228-7063.